I am also getting the "Meshes.bsa doesn't exist for location: TTW Fallout3 - Meshes.bsa" error while trying to update to 3.2.1. I have double checked the ini settings in MO2 (FAQ Missing Mesh), and my game workes fine otherwise. Suggestions? Make sure you have the right paths in the 3.2.1 installer. If you're pointing the installer to the wrong folder, then it will not be able to find the correct files. Also make sure your folders are not set to "Read Only"
So I did a clean install via the suggested MO2 route, and it appears MO2 is not installing the required FO3 bsa files in the game data folder (the rest looks fine). Do I need to add the bsa files manually from the initial TTW mod? Or am I just missing something? Thanks. I have reinstalled TTW 3.2 with no issues now. 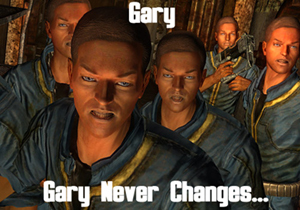 But the Update Installer is giving me a "Could not find Tale of Two Wastelands files at the specified path" error. 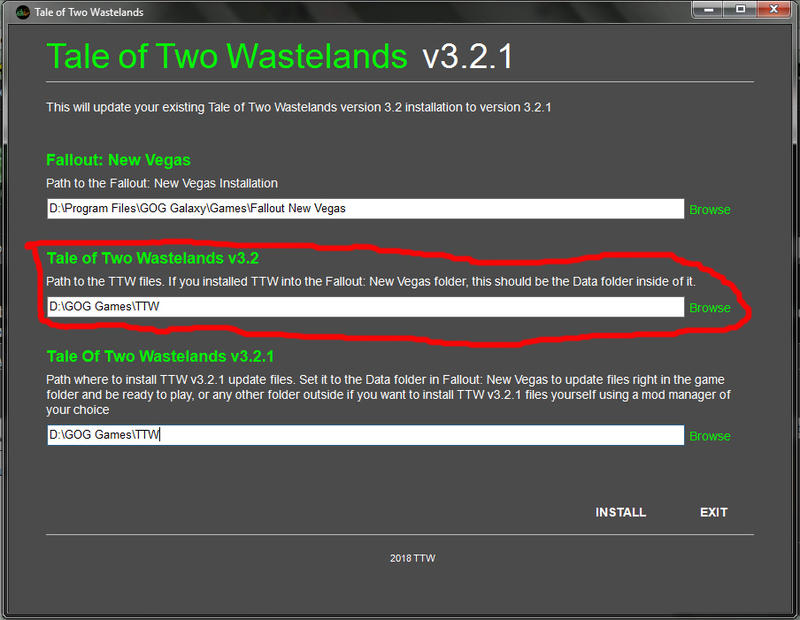 I have tried pointing it to both the FNV data folder, and the TTW 3.2 mod folder, but it still errors out on the install.